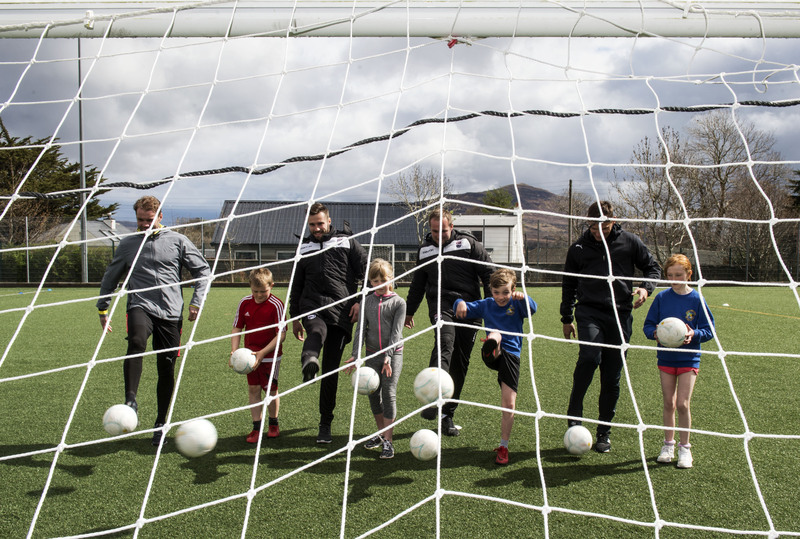 Pictured with pupils from Portree Primary School are four special coaches who ran a unique training session for the children. Back row from left to right: Robbie Neilson, Gordon Duff, Ryan Farquhar and Lee McCulloch. Front row from left to right: Brodie McQueen, Eilidh Bain, Reid Constant and Isla Preston. All pictures by Christian Cooksey/Braeside Photography. All rights reserved. For full terms and conditions see www.cookseypix.com. Free first use. 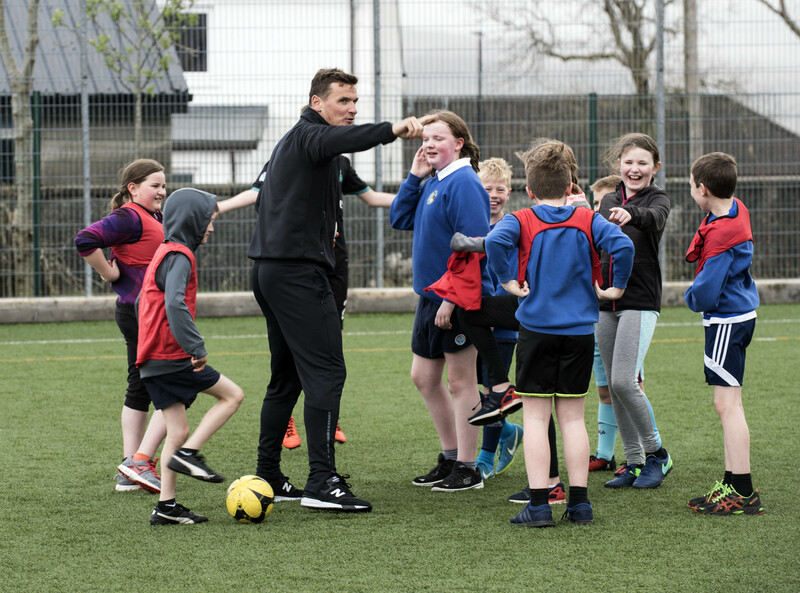 Pupils from Portree Primary School landed a footballing lesson from former Rangers captain Lee McCulloch and former Hearts player and manager Robbie Neilson in a new initiative led by sportscotland, the national agency for sport, and BBC Scotland. McCulloch, Neilson and Ross County community coaches Gordon Duff and Ryan Farquhar were welcomed by the pupils, for a professional coaching experience to highlight the importance of sport within the school’s curriculum. Around 30 boys and girls attended the training session at the school hosted by the ex-professionals who gave the children some hints and tips as well as sharing tales from their experiences in football over the years in the hope of encouraging the younger generation to take up the sport. Pictured with pupils from Portree Primary School are four special coaches who ran a unique training session for the children. From left to right: Robbie Neilson, Brodie McQueen, Gordon Duff, Eilidh Bain, Ryan Farquhar, Reid Constant, Lee McCulloch and Isla Preston. 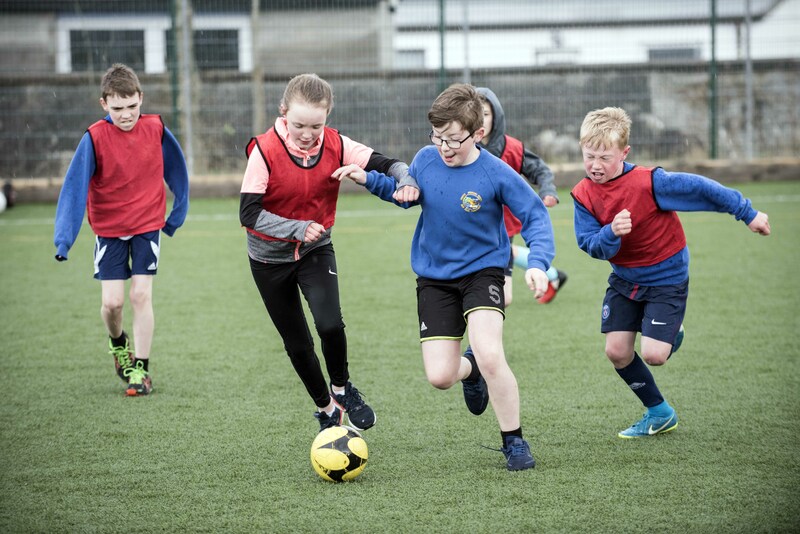 Stewart Harris, Chief Executive of sportscotland, said: “At sportscotland, putting young people at the centre of our efforts is a crucial part of what we do. Working in partnership with colleagues at the BBC, we hope to raise the awareness of sport and the openings that are available. It’s fantastic that the pupils at Portree Primary had the chance to train with players who have performed at the very highest level. 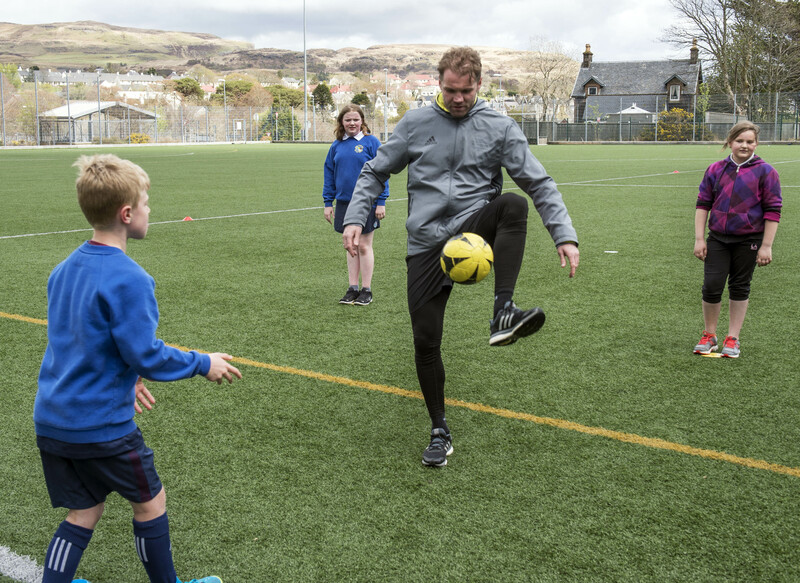 Pictured is former Hearts player and manager Robbie Neilson who was part of a special coaching team who gave a training session to the kids of Portree Primary School. 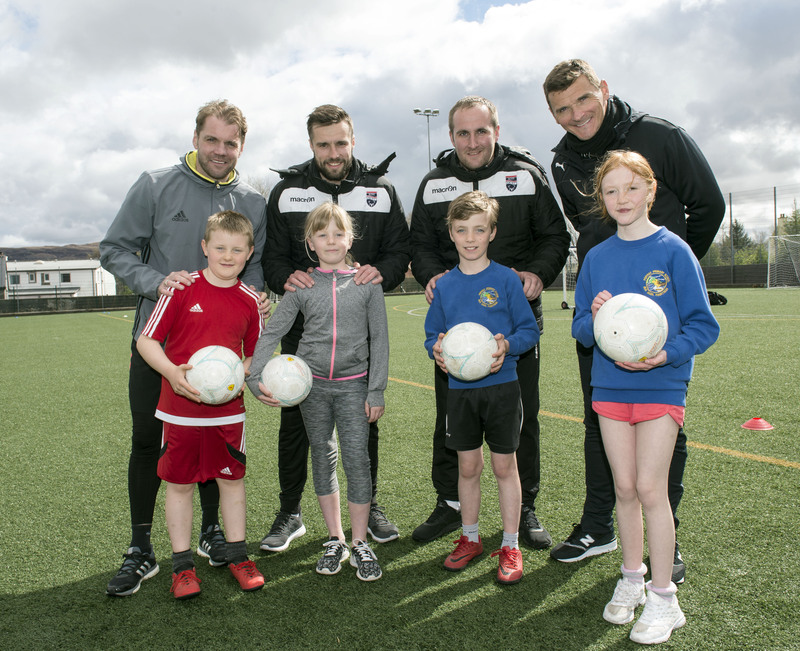 Pupils enjoyed the coaching session put on by ex-Rangers player Lee McCulloch, ex-Hearts star Robbie Neilson and Ross County coaches – Gordon Duff and Ryan Farquhar. 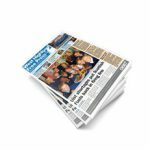 The pupils were also given an insight into the important role of sport in the media as the leading BBC Scotland radio programme, Sportsound, broadcasted their evening programme from the school. The panel was hosted by Kenny Macintyre and guests on the night were. The guests were Lee McCulloch, Chick Young, BBC senior football reporter Chris McLaughlin and BBC Chief Sports Writer Tom English. Pupils, parents, and staff were given the opportunity to participate in a question and answer session with the sporting personalities live on-air, asking about their career highlights as well as discussing Scotland’s sporting landscape. Portree Primary also holds the sportscotland Gold School Sport Award, a prestigious national award that recognises innovation and achievement in delivering physical education and extra-curricular sport. 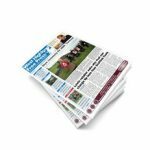 Headteacher, Sara Matheson, said: “The sportscotland and BBC Scotland partnership has created a wonderful opportunity for our children and we have used it to celebrate sport and reach out to our community. Working together to bring this coaching experience to our pupils and the chance to get involved in a live radio broadcast is something the children will remember for years to come.